This website began as a commemorative project in honor of the 98th birthday of Encarnacion Janduquile y Gumban vda de Himatay, and includes her family tree and a background on the Gumban of Pavia, Iloilo. With her passing just a month shy of her 100th birthday, this website is now a memorial to a beloved mother, grandmother and great-grandmother who, through her long life, has touched many lives. Most of this information was based on the own recollection of Encarnacion Janduquile y Gumban vda de Himatay, as well as from talking to living relatives and from researching public records. In the course of doing this research, I've discovered that I have many more relatives than I ever thought possible! 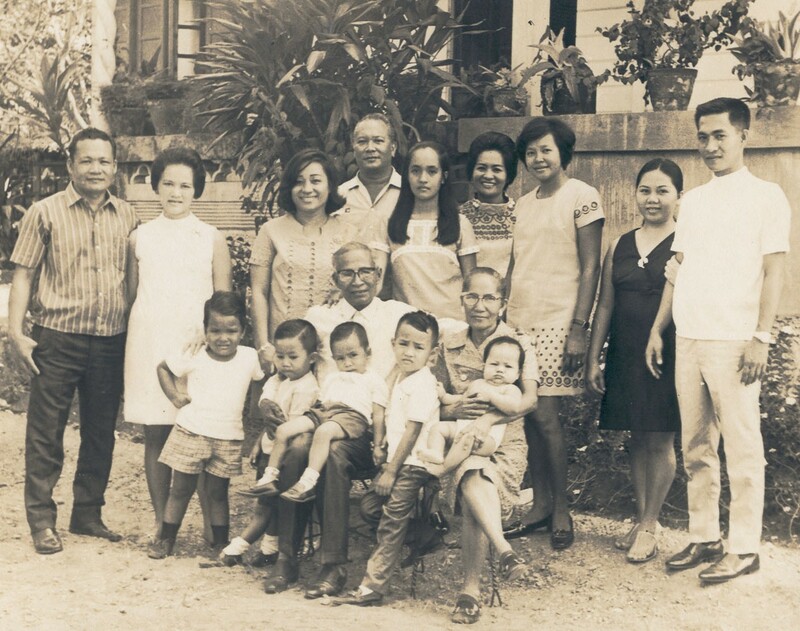 A rare family get-together, circa 1970, before Martial Law, at the ancestral house in Pavia. Many thanks to Heile H. Mosquera and Eva H. Tribaco for reviewing the initial document and making the necessary corrections. Also, a word of thanks to Monsignor Juan Tuvilla for sharing his memories of my grandmother before his transfer to a new assignment.